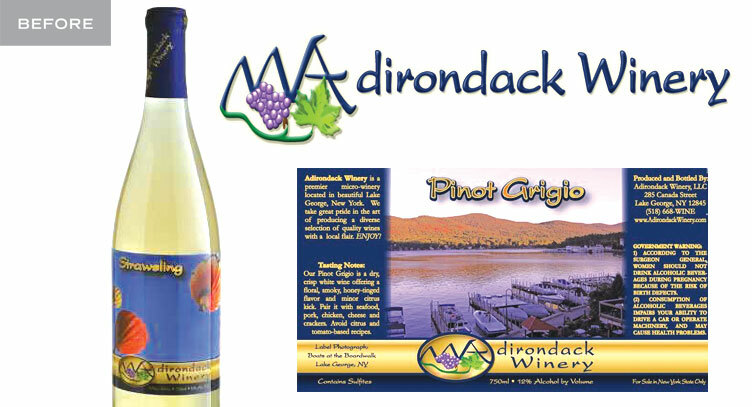 Adirondack Winery was having trouble getting the MSRP at the local liquor stores. The feedback was it doesn’t look as expensive as it actually is and the brand was not as recognized on the shelf as it was in the local tasting room. After being in business for five years, the couple had established a strong following with the resort vacationers and recognized the strong association their audience was making with the iconic photography featured on their bottles. As a whole, the brand language speaks volumes about the quality and taste inside the bottle. 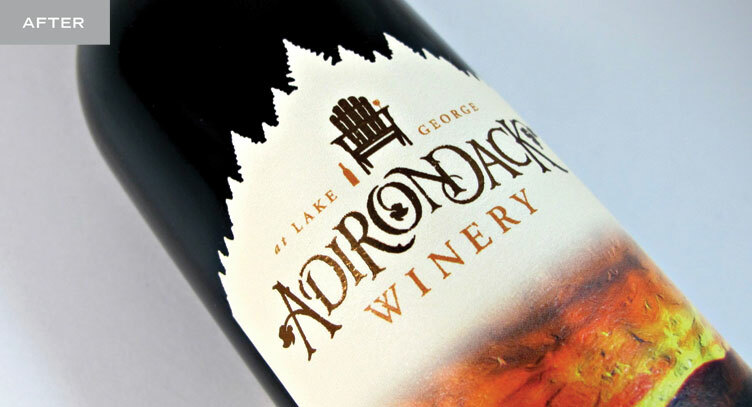 It jumps from an aisle of other NYS Wines’ packaging with a nostalgia being on summer vacation, even if you’ve never visited the Adirondacks. As the brand evolves across the varietals and price points, the personality evolves with color indicators for varietals and a fine art stylistic quality to the photography. 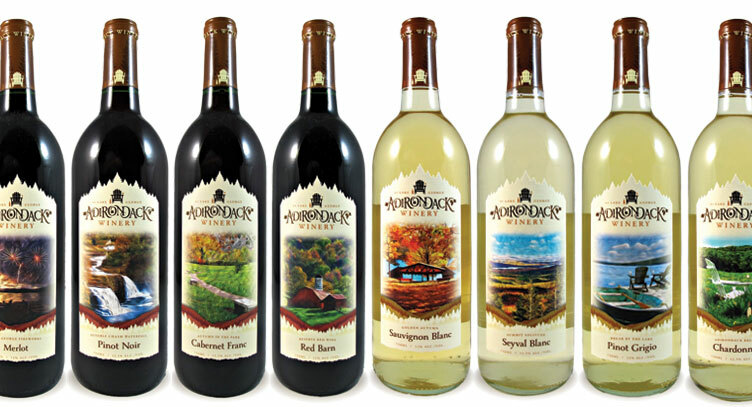 A stamp that shows an image of the fruit flavor used to infuse the wine is highlighted on the front of the fruit wines. The rebrand has been openly accepted by the faithful followers this summer season. The team refinished their tasting room to reflect the upscale branding that has been created. As new as this rebrand is in the market, we have no hard numbers to prove success, but we will update you as the sales increase. You may have the best product in the world, but if people are not compelled to pick it up and try it, they will never know. And on the flip side, design may get the initial purchase, but if the product doesn’t deliver on the promise, you will not have a repeat customer.